Welcome to Shannonhouse Law Offices, P.L.L.C. Problems with the IRS can leave you overwhelmed with the financial implications of your tax woes and with possible criminal penalties. Turn to experienced Oklahoma City tax attorney Joe Shannonhouse for help. 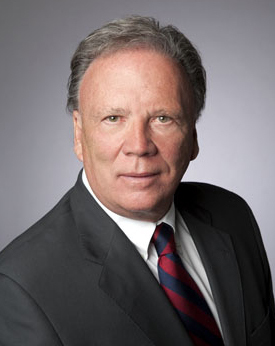 With 40 years of experience in tax law, state and Federal tax controversies, and Federal white collar crime defense, attorney Shannonhouse is a pre-eminent Oklahoma tax attorney who is also AV rated (the highest rating) on peer-reviewed Martindale-Hubbell. When you are dealing with a seemingly impossible tax problem, Joe Shannonhouse is equipped to provide superior legal advice as your Oklahoma tax attorney. State and Federal tax laws are complex and ever-changing. With so many laws and variations of tax requirements, it is easy to make a mistake that could jeopardize your personal finances or cause you to lose the business you have worked so hard to build. Furthermore, the IRS itself may make errors that can negatively affect your tax situation. The IRS is a bureaucracy that does not have your best interest at heart. It is not likely that they will put the time and energy into rectifying any situation for your gain. If you have an IRS problem, you need someone in your corner. You need an experienced tax attorney with the knowledge and skill to take on the IRS and find solutions for your tax problems. Whether you are facing personal tax problems, business tax problems, or even being investigated for tax crimes, find a tax attorney in Oklahoma who is a qualified, respected attorney with a record of successful outcomes. In criminal tax matters, it is critical to turn to an experienced, criminal tax attorney. With the many subtleties involved in Federal white collar crimes and tax crimes in particular, it is imperative that you seek legal representation from an Oklahoma tax defense attorney who is thoroughly experienced and knowledgeable in tax law and Federal criminal tax matters. If you are facing tax problems, consult tax attorney Joseph G. Shannonhouse, IV, for an evaluation of your case. He can help you find solutions to your problems, including launching a skillful defense against tax crime investigations or charges. For an evaluation of your case, call Oklahoma tax attorney Joe Shannonhouse at (405) 415-1700 or contact him at js@shannonhouselaw.com.